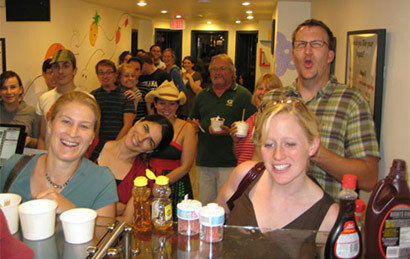 Mr. Yogato is the FUNNEST yogurt experience you'll ever have. Our frozen yogurt is healthy and delicious, we have more than 50 fresh fruit and dry toppings, and our games are... ridiculous! Come and see for yourself!